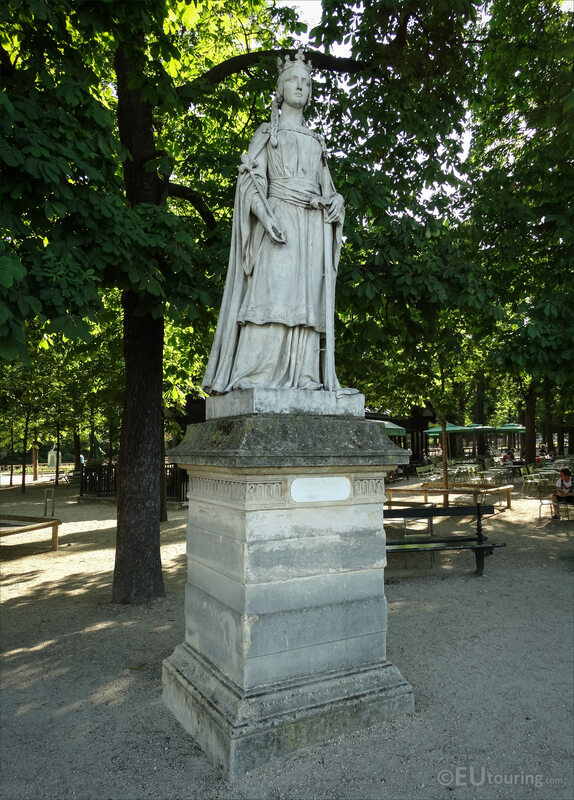 While we were within the Jardin du Luxembourg in the 6th Arrondissement of Paris, we took these high definition photos showing one of the series of Queens of France depicting La Reine Mathilde, sculpted by Carle Vital Elshoect. Now this first photo shows the statue of La Reine Mathilde, which was one of the Queens of France series chosen by King Louis-Philippe I to be placed within the Jardin du Luxembourg, and by a ministerial decision dated 15th November 1846, this was commissioned for the sum of 12,000 French Francs. 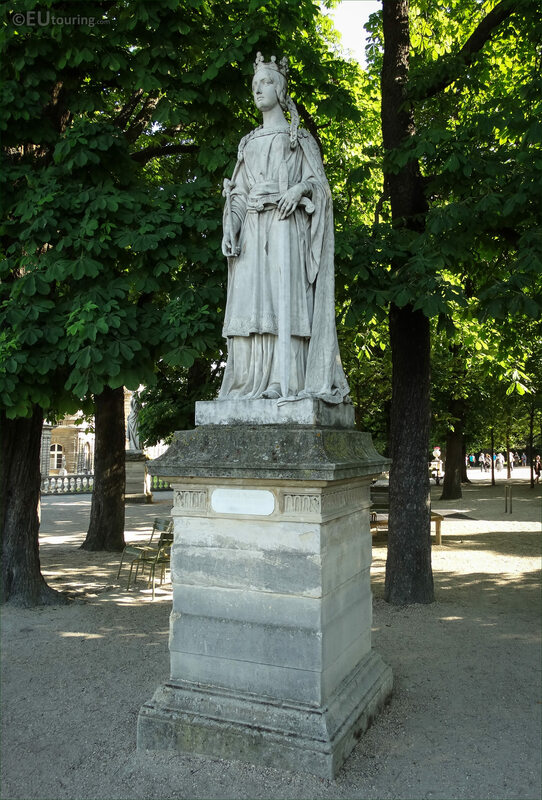 It was commissioned to the artist Jean Jacques Marie Carle Vital Elshoect, who was born in 1797, and made of marble he was inspired to produce this in a Romanesque style, which was completed on 29th August 1848, then presented at a Paris Salon the same year before being placed within the Luxembourg Gardens, eight years before this artist passed away. 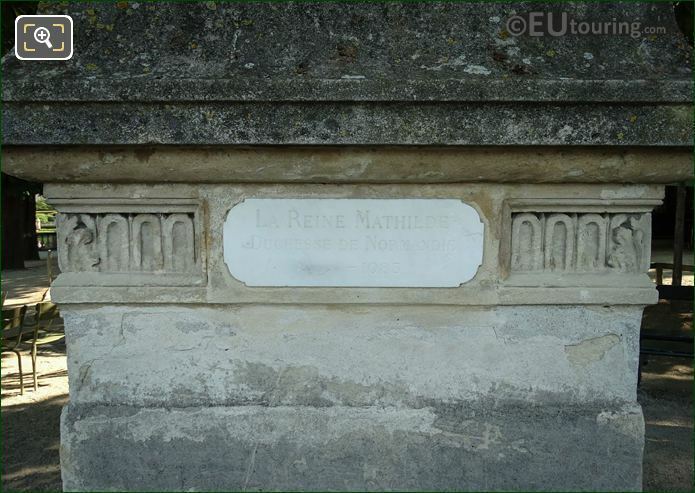 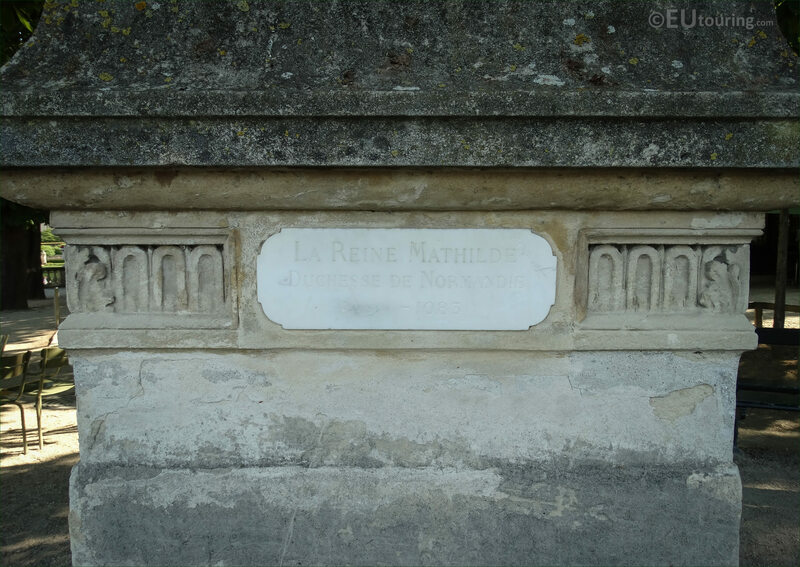 Now this next HD photo shows a close up of the plaque located on the pedestal of the marble statue, and although it has faded over time, you can just about see that it states La reine Mathilde, Duchesse de Normandie, but no actual year of birth, as this is unknown, although most sources say it was around the 1030s, but her year of death was 1083. 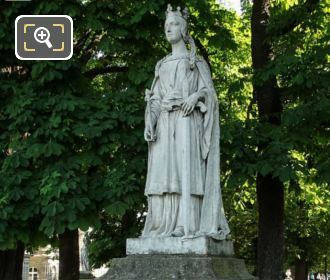 So, Mathilde, often spelt Matilda, was the daughter of Baldwin V, the Count of Flanders, and hence she is often referred to as Matilda of Flanders, and she married Duke William II of Normandy, hence why she then became known as the Duchess of Normandy. 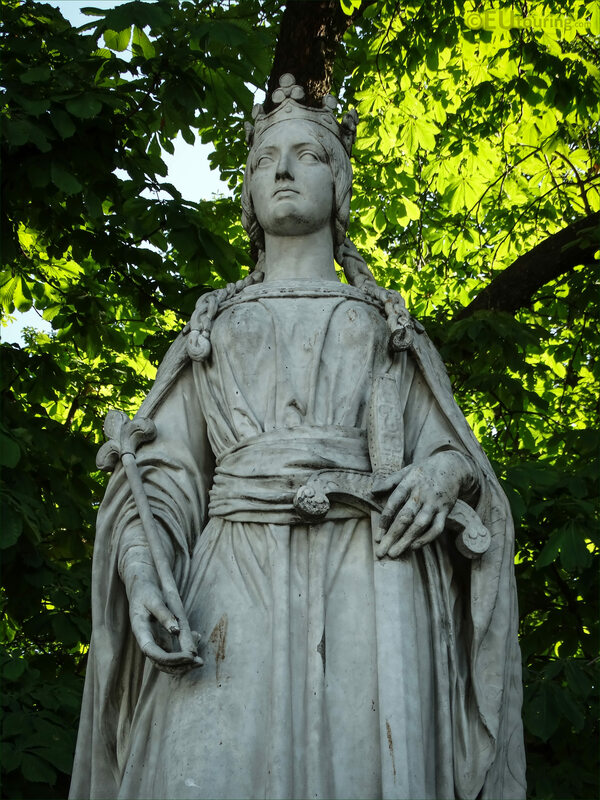 And when William went away on his conquests he left Matilda as Queen Regent in charge of his kingdom, and upon conquering England, hence why he became known as William the Conqueror, she followed him over the next year and was crowned Queen of England at Westminster Abbey on 11th May 1068. 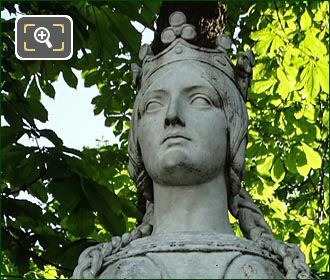 Also according to different sources Queen Mathilde bore nine children with William, who was always faithful to her throughout their marriage, which was a rarity for most Kings who had mistresses, yet when she fell ill he was by her side when she passed away in 1083, with William dying four years later. 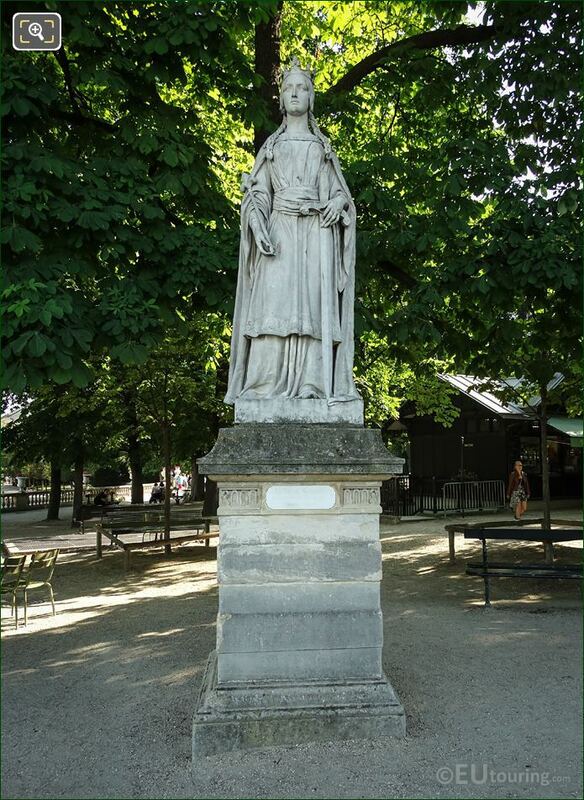 And this last photo again shows the full statue of the Duchess of Normandy, the Queen Consort of England, Queen Matilda, which is located on the terrace that surrounds the formal garden and large pond, which is to the right hand side of the Luxembourg Gardens as though you are looking towards the Palais du Luxembourg.